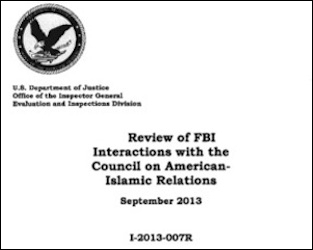 A 2013 Inspector General report found the FBI maintained contacts with CAIR against official policy. On October 6, 2015, according to Department of Homeland Security spokesman S.Y. Lee, DHS convened a conference call with "senior officials from the FBI, Department of Justice (DOJ) Civil Rights Division, DOJ Community Relations Service, DHS Office of Infrastructure Protection and Federal Emergency Management Agency." Also on the call were what Lee characterized insipidly as "faith-based, community-based, and civil rights and civil liberties advocacy stakeholders," and what the Council on American-Islamic Relations (CAIR) characterized as "American Muslim community leaders." CAIR's press release on the subject coyly does not say whether it was one of the "American Muslim community leaders" participating in the meeting. 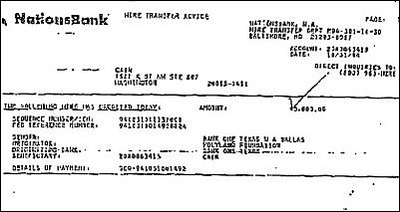 Its possible involvement is significant because, after several CAIR founders and/or officials were convicted in the Holy Land Foundation case – America's largest terrorism financing case – the FBI severed its liaison relationship with the group, banning it from cooperation for the foreseeable future. CAIR was not indicted as a defendant, but was deemed an unindicted co-conspirator. The FBI did "not view CAIR as an appropriate liaison partner" and "suspended all formal outreach activities" with it. Despite the FBI's policy restricting contact with the group, a 2013 Inspector General report concluded that during the current administration, FBI offices have flouted the policy by continuing outreach activities with CAIR. FBI leadership "did not conduct effective oversight to ensure compliance with the policy." Fourteen months after the IG report was released, the United Arab Emirates designated CAIR as a terrorist organization. FBI spokesman Christopher M. Allen confirmed the FBI's participation in the October 6 call, and claimed he did "not have information" about whether CAIR likewise participated. He also confirmed that the bureau's anti-CAIR policy remains in effect. The policy does not ban all interaction between CAIR and the bureau, Allen said. Even if CAIR were present, that "would not necessarily represent a violation of the policy." Asked the identity of the FBI official who approved the bureau's participation in this non-public call organized by a federal agency, Allen did not respond. DHS spokesman Lee likewise failed to answer questions about whether CAIR participated in the October 6 call. He also ignored questions about whether DHS has a policy in place restricting the agency's contact with CAIR. DOJ's main press office (the FBI has its own office) completely ignored questions about whether it had its own policy regarding CAIR contacts and whether CAIR participated in the October 6 call. DOJ even refused to confirm that it participated in the call, as DHS's Lee reported. In fairness, it should be noted that the call was evidently convened in response to a request from CAIR that DHS address Muslim community concerns about protests planned to take place outside mosques in several American cities on October 9-10. Nevertheless, even if true, the fact that CAIR may have requested a call does not mean government agencies were obliged to include it, let alone one with "senior officials." It appears the FBI ignored its own policy of avoiding contact with CAIR. It is noteworthy that none of these agencies – the FBI, DOJ, and DHS – would answer direct questions about whether CAIR participated in the call, and that the FBI – which by its own admission still has a policy sharply restricting contact with CAIR – failed to address a direct question about who authorized (what DHS spokesman Lee characterized as) "senior officials" to participate. Lee's failure to respond to the question about DHS's policy on CAIR, and DOJ's complete failure to answer any questions, are also of note. Lee's description of call participants as "faith-based" and "civil rights" stakeholders is suggestive because CAIR presents itself as a mainstream organization advocating for the civil rights of American Muslims, and mainstream media sometimes echo CAIR's self-description. It seems quite likely CAIR did participate in the call, and that the FBI ignored its policy of avoiding contact with the organization (either violating it outright or failing to follow required procedures to obtain approval/waiver). Given their reluctance to answer questions, it also seems likely DHS and DOJ either have similar policies in place or recognize how awkward it is that they don't have such a policy, in light of the FBI policy and the reasons for it. State Department press director Jeff Rathke says a range of US government officials have met with CAIR officials. A State Department official confirmed CAIR's report that CAIR and other American Muslim organizations met with officials from State on October 6. CAIR described the purpose of the meeting as to increase the number of Syrian refugees allowed into the United States and to complain about the situation on the Al Aqsa Mosque compound, a/k/a the Temple Mount. The State Department source characterized the meeting as part of its "routine" engagement with faith-based organizations. The October 6 meeting with CAIR is not unique. 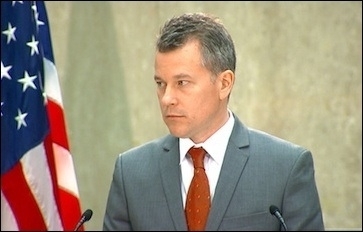 Previously, State Department press director Jeff Rathke stated, "As part of our routine engagement with a broad spectrum of faith-based organizations, a range of US government officials have met with officials of the Council on American-Islamic Relations," implying that the State Department is among those government officials meeting with CAIR. Unlike the FBI, the State Department has no policy limiting its contact with CAIR. The same source who confirmed the October 6 meeting also indicated that State has no special policy limiting its contacts with CAIR, but did reiterate that the US requested additional information about the UAE's November 2014 decision to designate CAIR a terrorist organization. The source did not say whether the government had received any further information from the UAE. Given both the prior involvement of CAIR officials in terrorist funding, resulting in CAIR's unindicted co-conspirator status and the FBI decision to sever its prior liaison relationship with the group, and the UAE's decision less than a year ago to designate the group as a terrorist organization, it is disappointing that the State Department has no policy at least limiting its contact with the group. It is also disappointing that DOJ (of which the FBI is a part) and DHS are not open about their policy toward CAIR and the reasons for it. In fact, it is regrettable that the executive branch as a whole does not have a unified policy about it, and enforce that policy. As the FBI indicated in its April 2009 letter to Senator Kyl, its decision to suspend CAIR was made pending resolution of "whether there continues to be a connection between CAIR or its executives and Hamas" or, one assumes, any other terrorist group. That was six and a half years ago. What have the FBI, and the executive branch as a whole, found? Have they done nothing since then besides ask the United Arab Emirates for information about this American group?